Early morning Transfer to Mombasa Airport or Ukunda Airfield. Flight to the Masai Mara. Transfer to the Camp. Lunch at the Camp. 04.00 Pm Game drives around the Masai Mara. 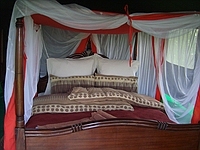 06.30 am early morning game drive, Breakfast, relax at the Camp or visit a nearby Masai Village. Lunch at the Camp. 04.00 pm game drives around the Masai Mara. 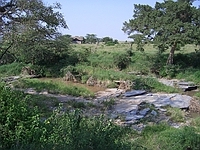 The Masai Mara is the Kenyan part of the Serengeti in Tanzania. With some luck you see the BIG FIVE: Elephant, Buffalo, Rhino, Lion and Leopard. 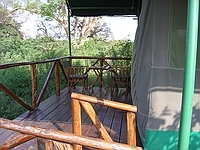 06.30 am early morning game drive, Breakfast, relax at the Camp. Early lunch, transfer to the Arifield, Flight to Mombasa/Ukunda. Transfer back to your Beach Hotel.